McCue Corporation has been supported by Network Coverage since April of this year (2017), and during that time we have worked diligently alongside their internal IT Director, Carlos Cabrera, to secure their environment and provide additional stability, guidance and support. This past week, McCue held their annual Vendor Appreciation Night, where they honored the vendors that have gone the extra mile for them and their business. 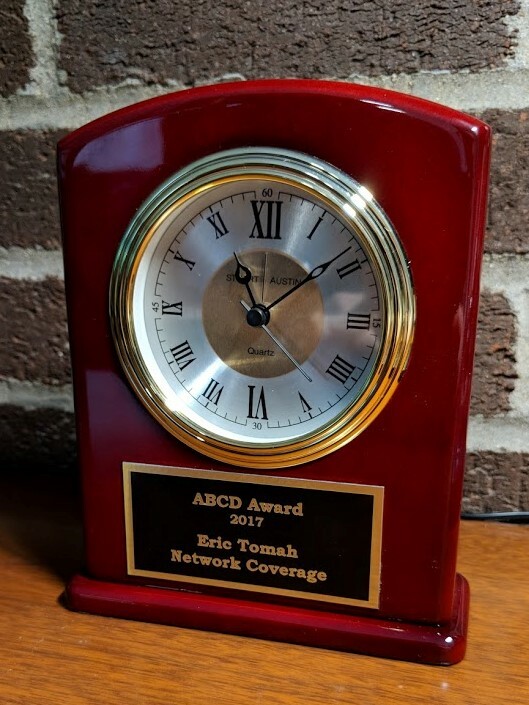 Network Coverage was nominated for McCue’s “Above & Beyond the Call of Duty” award (ABCD for short) and gladly received it as a tremendous honor. Carlos Cabrera presented the award to Ted Neary, COO of Network Coverage while citing and touting the many times that Network Coverage has gone above and beyond for McCue. Eric Tomah, VP of Project Management, whose name is cited on the award itself, has been the primary point of contact and account manager for McCue Corporation and was specifically mentioned numerous times for his willingness to do whatever it takes to get the job done. We at Network Coverage are always proud of our team for the awards that we receive and for the hard work that we put in each and every day for our clients. It’s recognition like this that continues to motivate us to be the best service provider in our industry and a partner that our clients can all be proud to showcase. 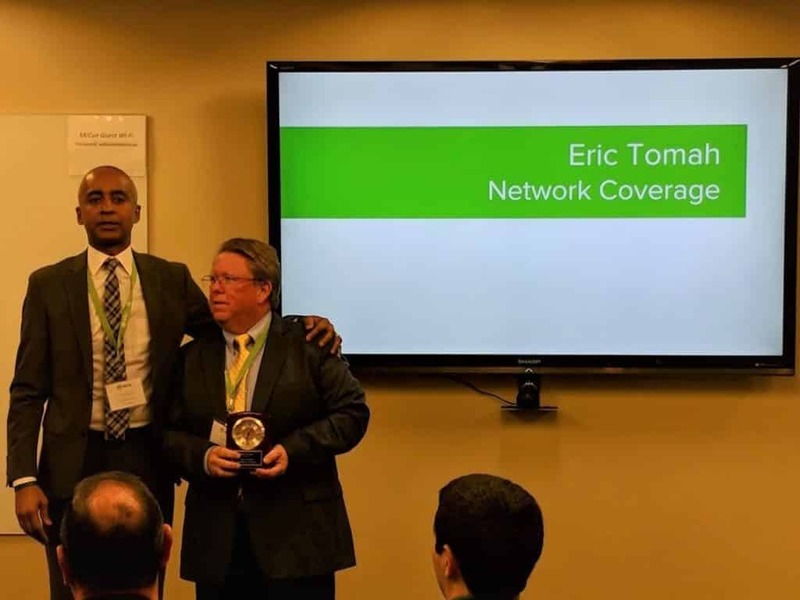 Network Coverage Honored as Continuum's North American Partner of the Year 2018!